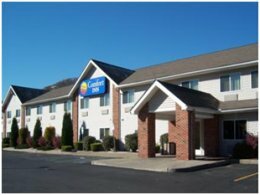 The Comfort Inn of Bradford, 76 Elm Street in Bradford, Pennsylvania, offers guest rooms featuring cable television, free wireless high-speed internet access, free weekday newspaper, free local calls, free parking, indoor pool and hot tub, coffee maker, hairdryer, iron, board and voicemail. Select rooms contain microwaves and refrigerators. The free breakfast is full of hot and delicious options like eggs, and meat, making breakfast at the Comfort Inn the perfect way to start your day. Enjoy yogurt, fresh fruit, and cereal. 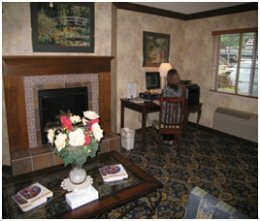 The business center offers public copy and fax services and valet cleaning service is also available. Conveniently located minutes from the Zippo / Case Visitors Center, which showcases two American legends developed in Bradford: the Zippo lighter and the Case knife. Other nearby attractions are the Allegheny National Forest, the Bradford National Historic District, and the University of Pittsburgh at Bradford. The on-site meeting room can accommodate up to 20 people.